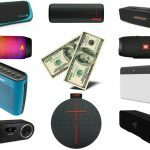 The best Bluetooth speakers under $100 are going to give you a decent price range and some flexibility when it comes to choosing your audio listening device. 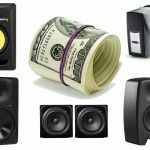 We’ve been sifting through the rubble of the speaker game for many years now, and although there are still specific price-ranges (especially budget-friendly areas) saturated with some knock-offs here and there, there are still some viable Bluetooth speakers worth checking out under a hundred bucks or so. Today we found about 10 of our favorite models priced at $100 or less, but before we get into the details, let’s keep a few factors in mind before you choose the “best” for you. Aside from your total budget and perhaps color preferences, Bluetooth speakers differentiate themselves from others when it comes to a few qualities of their personalities and internal engines. For one, Bluetooth range is going to be a big concern if you plan on being a far distance from your speaker. We recommend going no lower than 10 feet unless you’re fine with setting your phone or music player down next to the speaker while you listen to your tunes. This for us can be annoying since we still like to tinker with our smart devices here and there while we DJ, but that’s your choice. Along with distance will be battery time. We’ve seen some speakers hit the lower 6 hour mark, while others can get all the way up to 20+. We recommend going the higher route if you think you’ll be away from an electrical outlet for more than a day (think camping trips); otherwise, 12 or so hours will be fine if you can get that thing charging later that night (at a hotel, in your home, in the beach house, etc.). Next, do you want a portable Bluetooth speaker? Or perhaps a stationary speaker to keep in one particular room? If traveling or planning on carrying it from room to room or environment to environment, keep the overall size in mind. What about some waterproof protection if you foresee yourself being outside, especially near or in water (beach, pool, lake, or even your bathroom while you shower or bathe)? There are also other protections out there, such as dust proof and shock proof that aren’t complete musts but may serve you well depending on where you’ll be taking this thing. 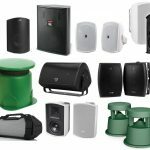 Lastly, our guides Bluetooth speakers under $50 for even cheaper models or Bluetooth speakers under $200 for a few more bucks may help with your search if you have some flexibility with cost. 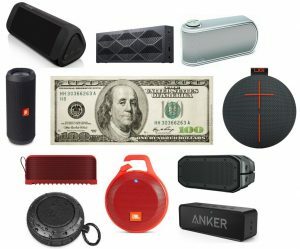 Otherwise, let’s get into our picks for the best Bluetooth speakers under $100! First we introduce one of the more well-known brands in the industry, the JBL Flip 3. 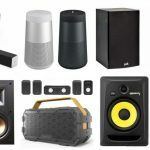 This speaker is one of the best Bluetooth speakers under $100 if you shop for brand – don’t be ashamed, I do it too at times. The JBL has a fabric material and rugged rubber design to ensure that it can ride along with you on all your adventures. It is also featured with a built-in noise and echo cancelling speakerphone so may you can take calls on-the-go with just the touch of a button. The 3000 mAH Li-ion rechargeable battery supports up to 10 hours of playtime per charge which isn’t too whopping but very solid for the price if you’ll have the ability to charge it after a day or so. The JBL Flip 3 can also be the perfect pool companion as it is splash proof – just make sure you don’t submerge it into water completely. 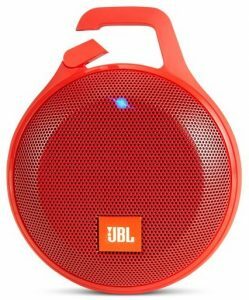 Anytime you see the name JBL, you know you are getting quality sound and reliability, which is why this speaker combined with its overall protection and sound quality is one of the best Bluetooth speakers under $100. If you’re looking for a proven brand, then grab the JBL Flip 3. Now if you’re looking for something a little out of the ordinary, then the UE Roll 2 might be one of the best speakers under $100 for you. It has a unique, almost spherical design that allows for the speaker to dish out a 360° sound – featuring one 2” driver and two ¾ tweeters that generate a maximum sound of 85dBA, and frequency range of 108 Hz – 20 kHz. The Roll 2 is also IPX7 rated which means it can be submerged in liquid up to 1m for about 30 minutes before being damaged (again we don’t recommend it, but it’s always a plus to give us confidence in its protection). The rechargeable Lithium-ion battery supplies up to 9 hours of playtime between Micro USB charges, while taking 5.5 hours to recharge. You can pair up to 8 devices on the speaker, while also having the option to wirelessly stream 2 UE Rolls from one source – twice the sound equals twice the fun if you’re into that sort of thing. The UE Roll 2 also comes with a carabiner slit and rope so it can be carried anywhere without it being a hassle. Don’t miss out one of the trendiest and versatile Bluetooth speakers currently out there. CNet’s UE Roll 2 review rated it very high. 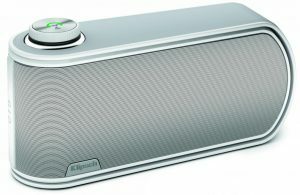 Next we have the Jawbone Mini Jambox, and although recently the brand is going away, still gives us a viable option while it’s still available since it’s been proven by many years of user reviews. 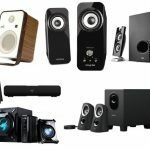 It’s one of the best in our opinion because it features a size that gives it the upper hand over other speakers in this guide if you needed something sleek. The Jambox is small enough to fit in your pocket which makes it one of the best Bluetooth speakers under $100 if you need something on the smaller spectrum. The featherweight design, along with a built-in speakerphone makes this model best suitable for your life on-the-go – made for your road trips, picnics, or beach trips. It also features a wireless sound compatible with the up-to-date 4.0 Bluetooth technology. You can also connect with another Jambox using the ‘multi-play’ function which allows for twice the sound! This Mini Jambox supplies up to 10 hours of playtime per charge (very solid for the size). Don’t forget to download the “Jawbone” app, which allows you to add new features as they are rolled out. 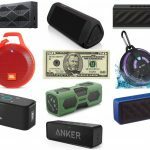 The Jambox sits on the middle price point, and if you’re looking for a good investment, then grab the Jawbone Mini Jambox, one of the best Bluetooth speakers under $100 in the market. Here we feel the Klipsch GiG, which is small enough to fit in the palm of your hand, yet still supplies very solid full-range sound – don’t let size fool you, this guy packs a punch. 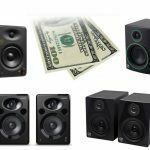 Klipsch applies their 65 years+ experience of designing quality loudspeakers to even their smallest model (the GiG) which makes it one of the best Bluetooth speakers that’s under $100. The GiG is featured with dual 1” full range drivers that are complimented with balanced, dual 2” passive radiators for crisp, clean bass. With the advanced DSP equalization, you can listen to music at any volume with having to worry about harmonic distortion. The GiG is pairable with virtually all Bluetooth technology, but if Bluetooth isn’t accessible, the Gig is also equipped with a 3.5 mm input jack for easy plug-n-play. The GiG uses a single multi-functional button that makes controlling the device pretty easy for even the most technologically challenged people. There is also a built-in Li-ion battery that supplies up to 12 hours of straight playtime! If you’re in the market for something that will be simple to use but also has a futuristic feel, then Klipsch’s GiG might be one of the best speakers under one hundred dollars for you. The Divoom Voombox Travel is a portable speaker that is one of the best Bluetooth speakers under $100 for someone who needs a heavy-duty travel buddy, built-to-last through your adventures. This model is built with a metal outer shell that encompasses the speaker to ensure it doesn’t get damaged while you’re on-the-go. 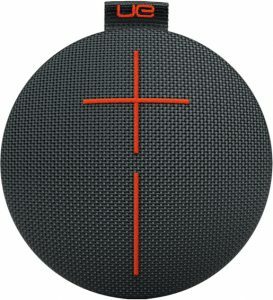 It features a 2” driver and a 2” passive radiator for some good bass, while also coming with a 700 mAh rechargeable polymer li-ion battery that provides up to 6 hours of playback time. It also comes equipped with a built-in microphone so that you may make or receive calls with just the click of a button. The Divoom has an IP44 weather resistant rating (woah!) which can withstand any harsh outdoor conditions. Like the Clip+, this model has a clip on top of it which can be snapped onto anything, clothes, backpack, you name it. The Divoom Voombox Travel is the ultimate adventure buddy, and should be considered as an option for those it suits well. PCMag gave the Voombox a 3.5 out of 5 stars. Moving further in our guide, we take a look at the OontZ Angle 3, the fresh new Bluetooth speaker designed and engineered by Cambridge SoundWorks. 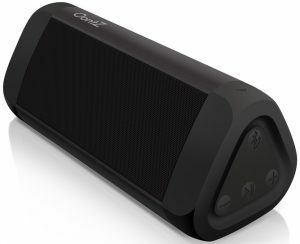 This is one of the more economical models, as it sits on the lowest price point, which makes it one of the best Bluetooth speakers under $100 if you need something less heavy on your wallet. The OontZ Angle 3 is designed with two precision neodymium drivers that kick up to 10 watts of peak output power to deliver a variety of sounds, which have little to no distortion at max volume. 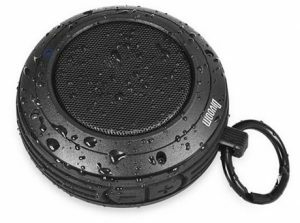 This speaker is also IPX5 certified water-resistant – no need to stress about taking it with you to pool parties. The Oontz is very easy to use, compatible with virtually all Bluetooth devices, even coming with a 3.5 mm audio cable to connect to devices which may not have Bluetooth. This model is backed with a 2200 mAh rechargeable battery that supplies up to 12 hours of playtime per charge, also coming with a micro USB cable for recharging. The OontZ Angle 3 may be one of the best speakers with Bluetooth that’s under a hundred bucks if you’re looking for something a little more reasonably priced. 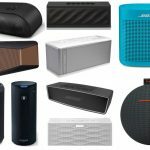 If you’re looking something small, similar to the Jawbone Jambox, then the Jabra Solemate may be the best Bluetooth speakers under $100 for you. The lightweight design (21.5 oz) allows this speaker to be taken anywhere, while also coming with an inline omnidirectional MEMS microphone which allows you to take or make your calls anywhere. The Solemate is backed with 1 mid/woofer and 2 soft dome tweeters, all custom-designed by Jabra, which spit out an impressive frequency range of 120 – 20,000 Hz – again, not bad for having such a compact size. The Jabra Solemate is compatible with 3.0 Bluetooth technology (operating range of up to 10 feet), and also supports NFC which calls for easy pairing. It is also made with DSP technology which reduces noise on transmitted or received audio, and automatically adjusts volume on received audio with acoustic shock protection. The Jabra Solemate sits in the middle price point of this guide, and can be one of the top picks for students who need a little companion while they’re studying. Up next we have the JCL Clip+, which is probably one of the best picks for your outdoor enthusiast. The name Clip+ comes from the built-in carabiner on the speaker that can be clipped onto your backpack or clothing – rad! This splash proof portable speaker features a compact, durable design that is built to be the best outdoor companion while you are on your journeys. The Clip+ allows you to wirelessly listen to music from your smart phone or tablet, supplying up to 5 hours of playtime, while also coming equipped with a built-in rechargeable battery. It also comes with an integrated speakerphone that allows you to take noise and echo free calls with just the touch of a button. Not Bluetooth savvy? No need to worry, as the speaker also comes with a 3.5 mm audio cable to plug-n-play with any device. As I said above, if you’re looking for something to clip on your Patagonia jacket, then grab the JBL Clip+, one of the best Bluetooth speakers that’s under 100 dollars. Hitting the home stretch of our guide, we have the Braven BRV-1, which is one of the best Bluetooth speakers that’s under $100 for adrenaline junkies or outdoor enthusiasts. With its IPX7 waterproof certification, and compact, shock-absorbent design, you can bring this speaker to any and all of your ventures without having to worry about getting it damaged. The BRV-1 is small enough to fit in the palm of your hand (4.75 in x 3.25 in x 2.25 in), while also only weighing an impressive 12.2 oz – tiny! It also comes with a 1400 mAh rechargeable lithium-ion battery that provides up to 12 hours of playtime, and if your smart device’s battery runs low, you can charge it with the built-in 1400mAh powerbank – made exclusively by Braven. The BRV1 supports all Bluetooth devices, and comes with a 3.5mm stereo jack if Bluetooth isn’t accessible. If you live life on the edge and need something to match your boldness, then grab this Braven BRV-1, which sits at a very reasonable price yet with a lot of power. Finally, we have the Anker SoundCore, which is surely one of the best Bluetooth speakers under $100 dollars due to its solid sound, and playtime that all speakers in this guide cannot match. 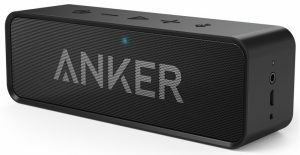 The speaker delivers up to 24 hours of straight playtime (wow!) in a single charge — huge for those on trips or merely uses without an electrical outlet available for numerous days. The SoundCore is also constructed with patented Anker technology that gives you very solid bass, while also possessing less than 1% total harmonic distortion which sounds solid at even the highest of volumes. This model is equipped with the latest 4.0 Bluetooth technology and Worldclass CSR Chipsets that can play music up to 66 feet in range! The controls are also simple, featuring only 5 buttons on the speaker so even the most tech-challenged people can operate it. The Anker SoundCore has a very solid battery life which separates itself from most on the market, which makes it one of the best speakers under 100 bucks and should be considered a steal at such a low price point.